DeVry uses both the Sales and Service Clouds and has over 10,000 users with 13 Salesforce orgs across their institutions. They have a highly complex and customized environment and operate in two languages. DeVry has a large community of 750,000 portal users. They use Cisco in the call center and needed a solution to integrate Cisco and Salesforce that would work regardless of their Cisco version. DeVry is not a traditional contact center, the majority of their users are advisors working in admissions and student services. These users help new prospects and applicants to complete steps to start school and work with students to complete their degree. They operate in over 100 locations with small teams of advisors and have 250 skill groups to manage. DeVry users take inbound calls, but mostly make outbound calls to students. The organization also has a traditional contact center team that takes inbound calls and transfers to advisors. First, DeVry needed a better way to service inbound callers. When someone called, the advisors had to spend a lot of time up front searching for them in the system. They wanted advisors to be able to know who was calling and have the information they needed to start helping the caller right away. Second, DeVry needed to be more responsive to their students and provide the service students were requesting. Making sure students were called back quickly. Third, DeVry wanted more integration with their telephony system: Advisors all have direct dial lines, and spend their time making outbound calls or meeting in person with students, so they needed a better way to know when advisors were on the phone or available to take inbound calls. Advisors needed to make outbound calls to students easier to improve responsiveness. Lastly, all the call activities needed to be saved in CRM so anyone working with the constituent could see all the interactions. We evaluated several products and the AMC adapter was the best fit with our infrastructure. The solution selected to integrate Salesforce with the Cisco telephony system was the AMC’s Salesforce Adapter with the Cisco driver. 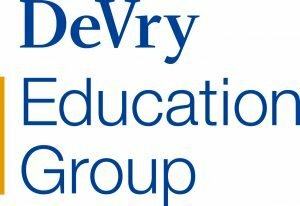 Devry Education Group evaluated several products before deciding AMC was the best fit with their infrastructure. Capabilities of the AMC included: Inbound screen pop on both prospects and contact records based on the ANI, Click to dial on all phone numbers in Salesforce, Automated call activities – AMC adapter allows you to record notes and automatically creates a task when the call ends. Lastly, Devry was using a Cisco product, CTIOS, for logging into the phone system and tracking availability for phone calls and the AMC adapter allows the advisor or call center agent to do this in Salesforce, eliminating the need to switch back and forth between applications. As a result of their integration, DeVry had several benefits including: When students call the advisors know who they are: the Salesforce record is right in front of the advisor and the constituent can be serviced immediately; It’s very easy to call students or applicants within Salesforce; Automating call activities saves time. ; All the interactions are logged in Salesforce in Activity History; Call disposition as well as notes are entered more consistently; Because response times are tracked, DeVry can ensure they are providing timely service; Agents can work from one business application rather than several, their tools are simplified.